The Nativity of the Blessed Virgin Mary Parish is a Catholic Church of the Byzantine rite. 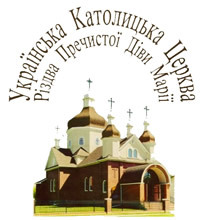 Services are conducted in English on Saturday evenings and in both English and Ukrainian on Sunday mornings. Week-day services are generally in English unless otherwise requested by those who make the offering for their intention.